Tamilnadu temples are famous around the country as well as abroad. People from all over the word visit here. 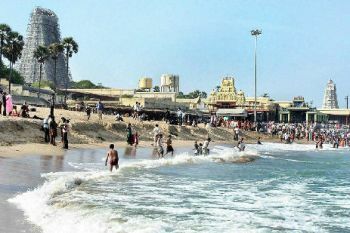 Tamilnadu temples are in the list of must visit destinations of most of the tourists who visit India. These ancient temples are built in Dravidian style and they are adorned with inscriptions from Hindu epics. The ancient kingdoms who ruled this part of India like Chola and Pallavas are the makers of these temples. Great living Chola temples like Brihadeeswara, are magnificent treasure houses of art. The magnificent Shiva temples at Gangaikodacholapuram, Darasuram and Thanjavur are collectively called the “Great Living Chola Temples” with UNESCO World Heritage Site status. The best time to visit is in the morning as early as possible, or in the evening when the ground is relatively cool. As with all Hindu temples, footwear must be left outside. These are some of the popular Tamil Nadu Temples.